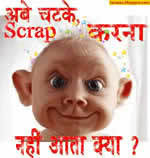 ScrapU provides scraps for you. It is the place to get all kind of Images, graphics and images you could ever need to use on Facebook, Myspace, friendster, Hi5 etc. 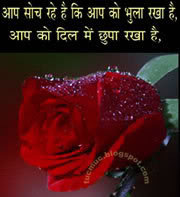 We also provide Facebook Status, musical sms and facebook musical wallpaper. These scraps touch every part of life with music, dance, Bollywood movies, masti, fun etc. On our site we have large collection of birthday cards, friendship scraps, romantic love images, funny scraps etc. Plz click on the links or images below to visit the respective galleries. The images not only cover all the emotions and occasion but also youth icons like John Cena, Sania Mirza or bollywood favorites like Shahrukh Khan, Katrina Kaif etc. We provide all sorts of ( cute, romantic, traditional, hot, cool and rocking ) images in every category.